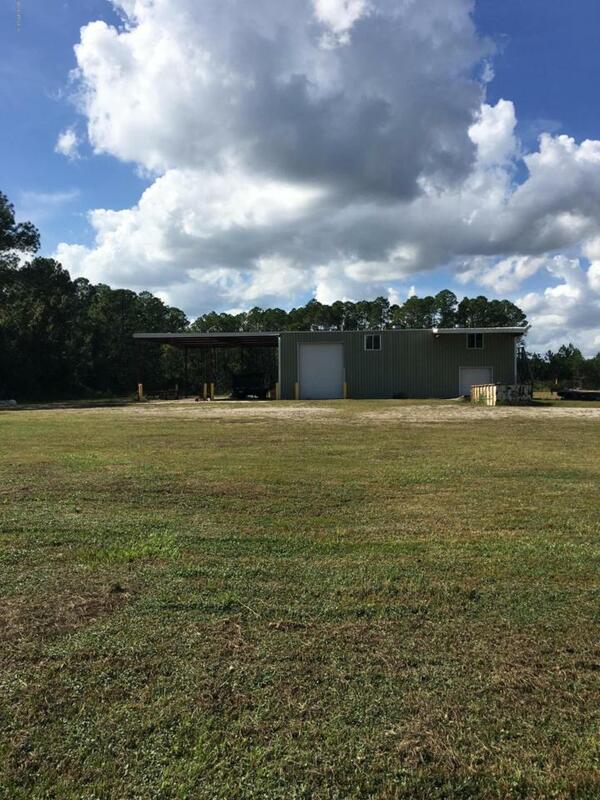 6.57 +/- zoned RG-1, cleared and stabilized land with 6,483 SF Industrial Warehouse currently onsite with upstairs office space, loading dock, large bay doors, and covered parking/lay down area. See adjacent parcel for sale MLS #987108 for additional acreage and office space that can be sold together. Potential to change entire parcel to CG or RG-1 (zoning change potential consistent with FLUM- buyer responsible for verifying any zoning change options with county). The property is located in a high intensive commercial and residential area. Adjacent properties include, automobile sales, shopping centers, residential subdivisions, and condominiums.